These tough, flexible rubber toy has a great vanilla scent. 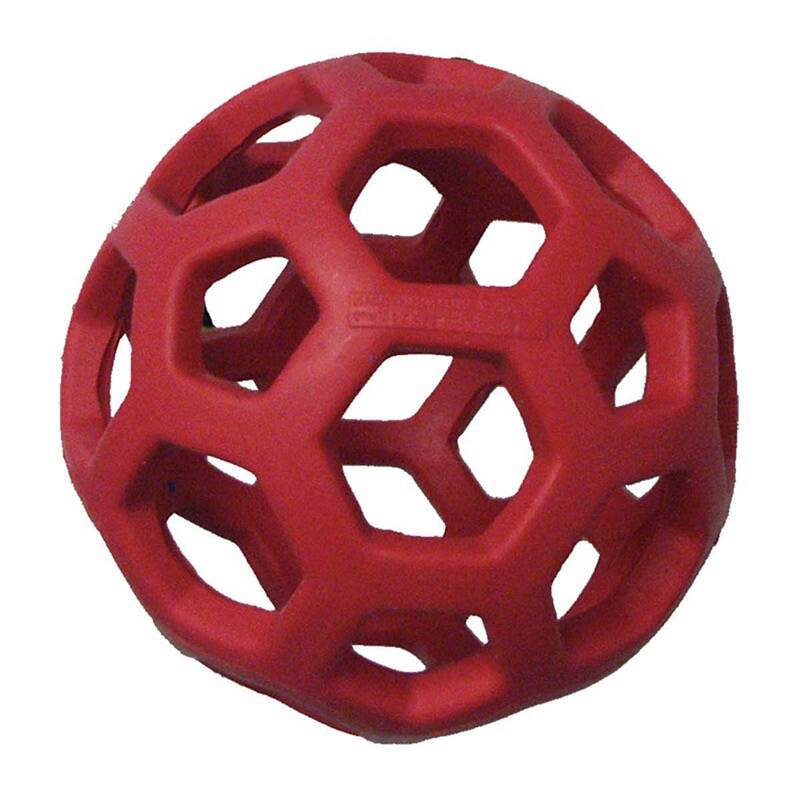 The honeycombed hollow design allows for treats or other toys to be placed inside the ball. Its available in three different sizes making it the perfect toy for any dog. Colors are assorted. JW Crackle Ball Medium 3"